ADC Biotechnology, a specialist ADC contract services company that produces antibody drug conjugates (ADCs) has announced it has secured investment for the construction of an £8 million bioconjugation facility at its new site in Deeside, North Wales. The 6,500m2 facility – scheduled to be operational by December 2018 – will support manufacturing in all clinical phases and small-scale commercial production of antibody drug conjugates. It will provide GMP production suites equipped with vessels of 10 up to a few hundred litres for batch sizes from 100 grams up to a kilo. The new integrated facility will enable ADC Bio to complement its long established technical services business that provides small scale R&D through to pre-clinical testing, with three on site laboratories and analytical testing capabilities. The company’s move into clinical and commercial ADC manufacturing is particularly significant as it already boasts a strong pipeline of customers – thanks to its patented ‘Lock-Release’ technology and the extensive experience of its senior scientists. The aggregation control platform is currently used by over 20 customers, including big pharma, and helps overcome aggregation challenges from the more complex, potent and hydrophobic payloads increasingly coming through discovery and development. 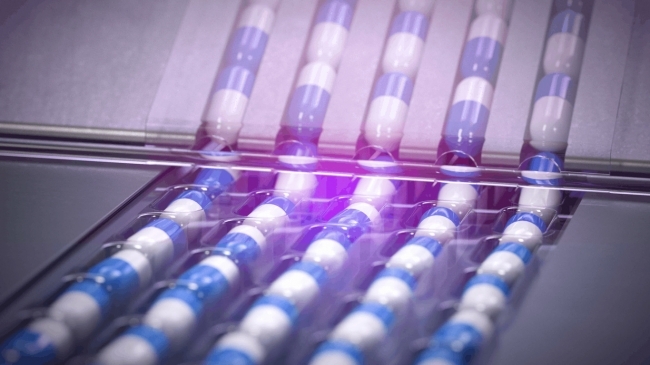 The technology immobilises protein elements, keeping them separated up to the point they are conjugated – ensuring that much cleaner drug products are ultimately released and that the quality and yield of highly aggregated systems are managed in one single step. The technology will also be available for licensing and sublicensing in the future. Charlie Johnson, CEO of ADC Bio said: “We already have confirmation that many of our existing customers will use the facility for clinical development and we anticipate adding a number of the new targets entering clinical development from customers in the USA and Europe – especially in light of the added value we can provide through Lock-Release. For many of the newer types of payload this could well be the difference between a viable product and not”. The purpose-built, dual stream bioconjugation facility will provide a suite of capabilities ranging from R&D technical services, quality control, QA, warehousing, and process development through to manufacturing – all of which will occupy just 50% of the unit’s footprint. Consequently, ADC Bio will have free capacity to upscale quickly from early clinical phases into late phase and commercial manufacturing within the same footprint at the new facility. Subsequent phases are planned for 2018 onwards and will add further capacity for large scale clinical and commercial, and potentially, dosage form production. “We are already preparing for future phases of development and the medium-term manufacturing pipeline for the business looks extremely strong. But longer term, we also have a lot of USPs – as a standalone site with patented Lock-Release technology – which makes us extremely attractive.” added Johnson.